Solar power technology has been around for over 150 years, but the technology is still developing faster than ever. 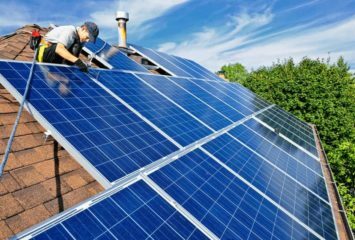 Solar panels are getting more efficient, batteries and inverters are becoming smarter and cheaper, and the solar options for homeowners have never been more diverse. If you walk through the history of solar power, you’ll see just how much its changed over the many years. The history of solar is older than you might think. Romans used solar architecture to heat bathhouses, and humans have been concentrating the sun’s energy with mirrors or magnifying glasses for more than 1,300 years. If you were a homeowner in London in the nineteenth century, you might’ve considered installing a solar hot water heater on your home. In 1839, Alexandre Edmond Becquerel discovered a breakthrough for solar power—some materials were found to produce electricity when exposed to light. Years later, another man named William Grylls Adams and his student used selenium to create electricity from light, creating the world’s first photovoltaic power source. The efficiency of Adams’ selenium cell was only about 1–2%; most of the energy absorbed from the sun was lost as heat. It would be a long time before solar electricity saw any major breakthroughs in efficiency, but the proof of concept had been achieved. The solar panel as we know it today was invented in 1954 by D.M. Chapin, C.S. Fuller, and G.L. Pearson of Bell Laboratory. Chapin, Fuller, and Pearson used silicon to make a stable and reliable power source with 4% efficiency.1 The first silicon commercial solar cell was released by Hoffman Electronics only a year later. It sold for $25 per cell and had only a 2% efficiency.2 And because each of these commercial cells produced only a small number of milliwatts, the cost was over $1,785 per watt in 1955. With inflation, that would be over $16,000 per watt in 2017—a tough sell compared to the $4 per watt for solar systems today. Prompted by the Arab Oil Embargo and the Environmentalist movement, solar panels saw a huge increase in public interest during the late 1970s, which brought funding, research, and development. 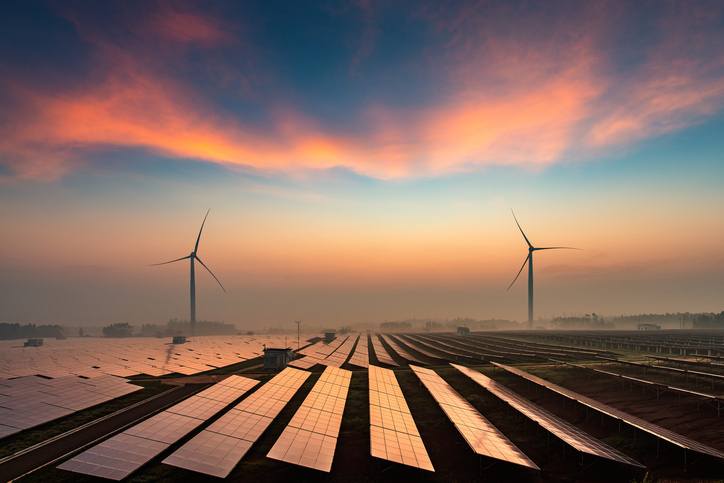 The Public Utility Regulatory Policy Act and the Energy Tax Act of 1978 established the regulatory framework for solar interconnections, a huge step forward for the solar industry. These regulatory frameworks would continue to be developed throughout the 1980s and 1990s, leading eventually to the numerous federal tax credits and incentives seen today. By the early 1990s, solar technology entered a truly marketable level of efficiency. In 1994, the newly created National Renewable Energy Laboratory achieved an unheard-of efficiency of over 30% using a gallium indium phosphide and gallium arsenide solar cell. This cell wasn’t suitable for mass distribution but was used for many space applications. The home solar panel continued development, with over 1,000 megawatts of solar infrastructure worldwide by the end of 1999. In the year 2000, Sandia Laboratories invented the modern inverter, which converted the direct current (DC) produced by solar panels to alternating current (AC), the standard for US homes. This opened the door for residential solar—two years later, Home Depot started selling solar panels in sixty-one stores nationwide. As solar continued to rapidly develop, the efficiency increases seen in the 1960s slowed to a crawl. Solar energy was beginning to hit a physical barrier to higher efficiency. 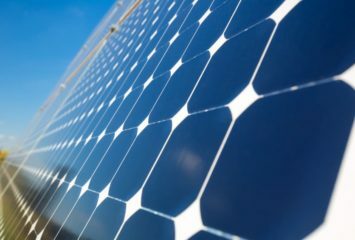 Silicon solar panels, the type used in 90% of applications worldwide, were theorized to have a limit of 29% efficiency based on the physics of the photovoltaic effect, but attaining that efficiency rating continues to elude researchers. Still, solar technology for commercial and residential use continues to break barriers. Today, the best solar panels can reach an efficiency rating over 20%, closer than ever to the current laboratory record of 26%. While innovators haven’t been able to reach the coveted 29% efficiency, there have been a lot of great developments in years past. Over the last ten years, solar panels have seen many improvements in their design and implementation to reduce costs and improve the installation process. Modern panels and rack materials require minimal rewiring or hardware to install and are lighter and easier to manage than the heavy arrays of decades past. With these improvements, most solar panel installations can be done in a single day. The other components in a solar installation have also seen swift development. Microinverters are a new alternative to the traditional inverter. Traditionally, a solar array is only as efficient as the least-efficient panel in the rack, since the inverter converts the current of all panels at once. New microinverters convert the electricity supplied by each panel individually, improving the efficiency of the system considerably. Battery system development slowed after grid connections were standardized, but the technology has seen a new influx of recent interest. Most notable is Tesla’s Powerwall system, which brings home battery systems firmly into the mainstream. Overall, the biggest development in residential solar is the reduced cost. Solar panel manufacturing dropped dramatically in price with the development of LCDTVs—both technologies utilize huge sheets of glass. This development, coupled with China’s rapid expansion in raw material harvesting and manufacturing, has dropped the price low enough to allow almost all homeowners to consider a solar power investment on their roof. New materials offer even more breakthroughs for residential solar technology. Cadmium telluride (CdTe) cells are the current front-runner as an alternative to traditional silicon panels. These solar cells have a lower carbon footprint and manufacturing cost than traditional silicon panels and offer impressive outputs. CdTe cells are not new. They’ve been around for over 60 years but were limited by an output maximum known as the “one-volt limit.” CdTe cells had been unable to produce more than 900 millivolts of electricity when in direct sunlight, even in lab conditions. In February 2016, researchers at the National Renewable Energy Laboratory managed to break the one-volt limit, finally disproving the theoretical limit that had plagued scientists for six decades. With the one-volt limit broken, lab testing achieved efficiency ratings of more than 22%, with mass-produced panels quickly closing the gap. CdTe panels may be the next major jump forward for residential solar, offering better system performance and lower costs for the next generation of solar homes. While solar panels developed most rapidly in the 1950s and 1960s, the technology has continued to improve at an alarming pace. Mass production and swift installation have made solar more appealing as a financial investment and have paved the way for the next great technology leap. To learn more about how solar energy can benefit you, get a quote through our easy-to-use form.